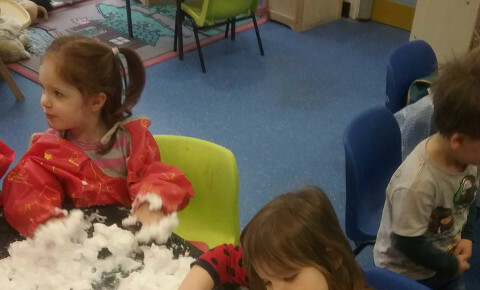 Busy Bees in Harlow - Foam fun! 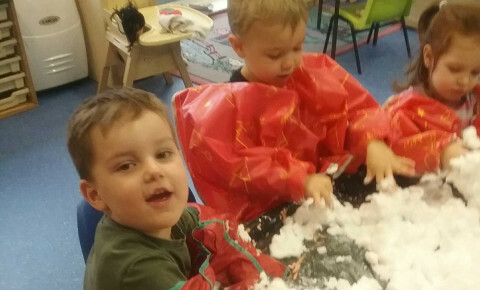 Today in pre-school we have been getting very messy exploring different textures in our activities! 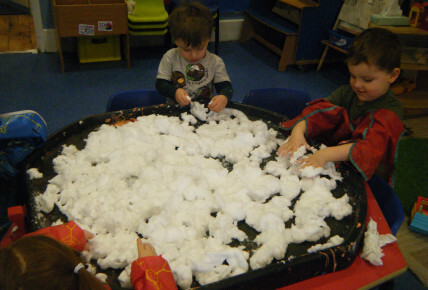 We had moldable foam which we have used to create different shapes in our hands. 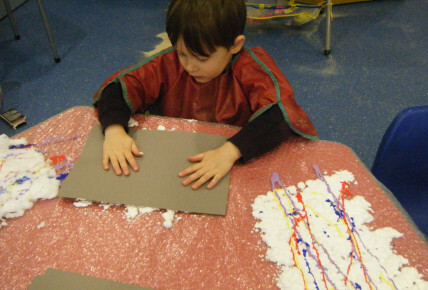 We also looked and different textures and colour mixing through shaving foam and paints. 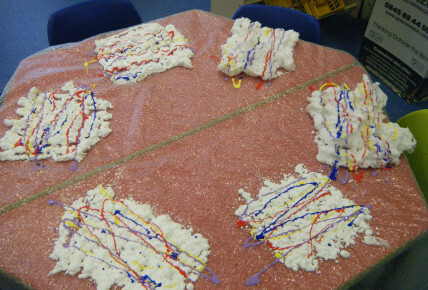 The children talked about different textures using new vocabulary such as hard, soft, sticky and explored these textures. 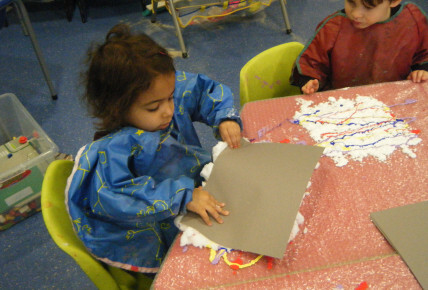 The foam and paints created a good texture to be able to colour mix and look at the different patterns we could create, the children then pressed these on cardboard to create their very own artist pictures!